It’s been promised many times over the past 20 years. 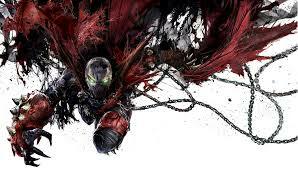 Almost from the moment that the first Spawn film was released, creator Todd McFarlane has wanted to do a new one that kept the disfigured hellspawn hero in the shadows. Originally, it would have been a quasi-sequel to the movie that starred Michael Jai White, but as time went on, it became its own thing. And every couple of years, it would become a headline as McFarlane promised that he was writing a new screenplay. But today, it feels like it’s actually happening. On Facebook Live, McFarlane teamed with Kevin Smith to announce that Blumhouse Studios would produce. Known for low-budget but effective films, including this year’s Get Out and Split, Blumhouse is signing McFarlane to make his directorial debut. Though he is getting to write the first draft, there’s no guarantee that Blumhouse won’t bring in a new screenwriter to polish it. It’s a tricky thing. Both the original comics and the first film presented CIA mercenary Al Simmons, killed by his partner. In Hell, Simmons makes a deal with Malebolgia, a magnificently disgusting and gigantic creature (great action figure) that transforms Simmons into a Hellspawn before returning him to Earth. Though Simmons wants to see his wife and child, his form is hideous, and even when using his finite hellpower to disguise himself, he turns into someone completely different. McFarlane had launched a spin-off book, Curse of Spawn, which might possibly be the template for what he wants to do with the film. The character also lurked in the shadows of Sam and Twitch, two supporting characters who are set to get a television series run by Kevin Smith. That’s heading to BBC-America. The dark shadowy version of Spawn could work, but the approach isn’t what brought fans to Spawn in the first place. Yet making it more like a monster movie, filled with dark atmosphere and perhaps even subtle storytelling, is more in line with the rest of Blumhouse’s output. We’re not saying it’s definitely going to happen, but this is more solid than it’s ever been.